"We want to impact lifestyle changes in employees and at the same time use validated instruments to measure outcomes for the employer." 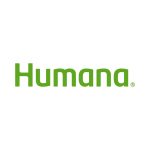 LOUISVILLE, Ky.--(BUSINESS WIRE)--Humana Inc. (NYSE: HUM), one of the country’s leading health and well-being companies, announced today it has added eMindful’s live, online mindfulness training programs to its growing resource of wellness solutions available to employers. 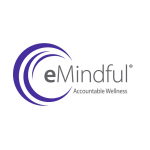 eMindful is a leading provider of evidence-based mindfulness programs that improve well-being for employees and reduce modifiable risk factors contributing to chronic health care conditions and increased health care costs. Mindfulness practice focuses on elevating awareness of a person’s thoughts, emotions and physical state to change habitual patterns that undermine success and lead to continued unhealthy behaviors. With poor lifestyle and health choices costing the U.S. economy $576 billion a year, 22 percent of Fortune 500 companies are projected to use mindfulness or brain training by this year’s end as a way to improve employee health, increase productivity, decrease absenteeism and presenteeism, and enhance quality of life, according to a survey by Fidelity Investments and the National Business Group on Health. The survey found that the number of businesses offering mindfulness programs could double in 2017. Classes range from managing stress and weight, to living with diabetes and tobacco cessation. Early pilots from the partnership show promising results across all classes, regardless of topic, on reduced stress, improved sleep, increased physical activity, and fewer CDC Unhealthy Days. These results demonstrate the effectiveness of mindfulness training. Employees participate in eMindful’s online, live webinar-style classes at their work computer, on a mobile device, or in a group setting. Participants can hear, speak with, and interact with the expert instructor, as well as with other class participants. 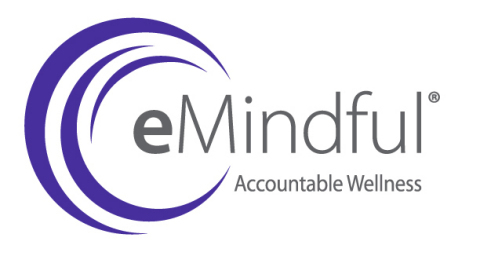 eMindful is the leading provider of evidence-based mindfulness programs to improve well-being and reduce modifiable health risks including stress, metabolic syndrome, smoking, diabetes, and chronic pain. It is the only company providing these programs globally and on a scalable basis through live, online classrooms. Leading employers and insurers, such as Florida Power & Light, State of Arizona employees and Humana Inc. have adopted the company’s programs. To learn more about eMindful or how to participate in a mindfulness program, visit eMindful.com.